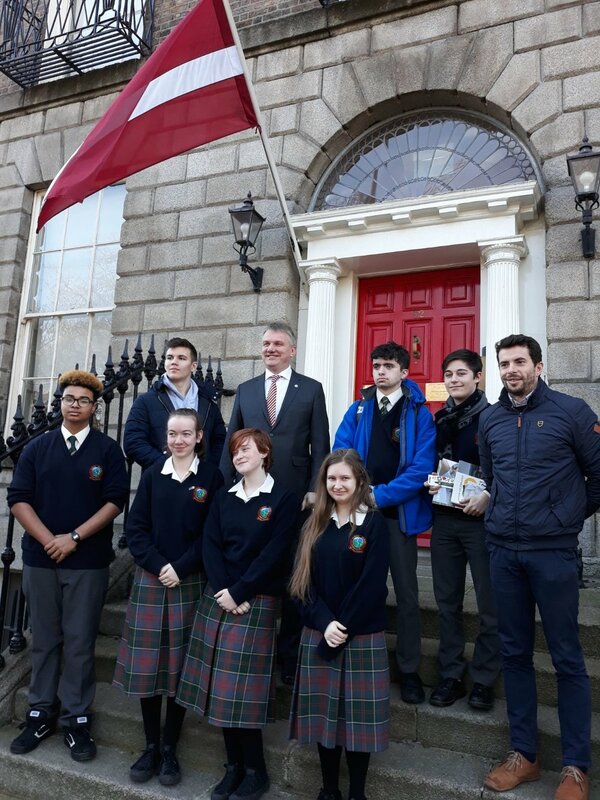 Colaiste Chiarain Transition Year students and teacher Mr. Whelan pictured with the Latvian Ambassador to Ireland Jānis Sīlis outside the Latvian Embassy today. The students visited the embassy in preparation for the Model Council of Europe debate which take place on Friday in Dublin Castle. Colaiste Chiarain will represent Latvia in a debate on the 'Future of Europe'. Newer PostSenior debating team through to last eight in the country. Older PostThe clean up begins!